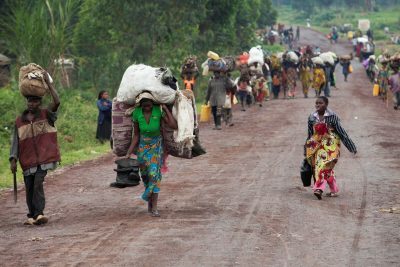 The Zambian government has appealed to the World Bank to consider giving the country grants instead of loans because it was ‘taking care’ of refugees from the war tone Democratic Republic of Congo. Finance Minister Margaret Mwanakatwe made the appeal recently during the just ended IMF and World Bank Spring meetings in Washington DC, United States of America. She said Zambia was handling the DR Congo refugee crisis hence the need for the international financial institutions to give the country grants and not loans. The DR Congo is experiencing war and instability mainly due to President Kabila’s holding on to the presidency despite his term of office having expired in December 2016. While countries like Botswana and international bodies like the United Nations (UN) have expressed concern at the happenings in DR Congo, (Botswana told Kabila to step down and save the country from unnecessary war) Zambian President Edgar Lungu recently hosted Kabila and accused the international community of interfering in DR Congo’s ‘internal affairs,’ but now they want the World Bank to give Zambia grants on grounds that they are taking care of Congolese refugees.